Illustrating examples of low carbon transition, from leading scholars researching in a wide range of geographic contexts. 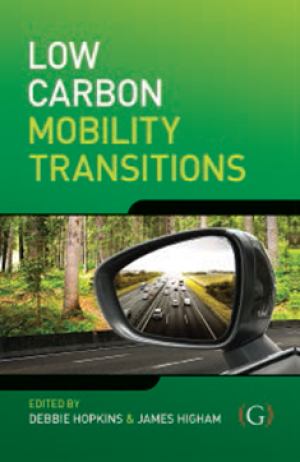 Expert assessments of systemic low carbon transition. Debbie Hopkins is a Research Fellow at the Transport Studies Unit, School of Geography and the Environment, University of Oxford (UK), and a Junior Research Fellow in Geography at Mansfield College, Oxford. James Higham is a Professor in the Department of Tourism, University of Otago (New Zealand), Visiting Professor, University of Stavanger (Norway) and co-editor of the Journal of Sustainable Tourism. Debbie Hopkins is a Research Fellow at the Transport Studies Unit, School of Geography and the Environment, and a Junior Research Fellow at Mansfield College,both at the University of Oxford (UK). James Higham is a Professor in the Department of Tourism, University of Otago (New Zealand) and Visiting Professor, University of Stavanger (Norway).